Below is the program for the evening of Saturday June 16th, 2018. This is notification that we are now taking nominations for the upcoming JAFWA committee elections, to be held during the Dinner Break of July 21, after the AGM. Nominations are open to all members paid up for at least the last 3 months, and permamnent residents of WA. Also, we are asking for any issues members want raised at the AGM. Basically this is a notice of inclusion for matters for the official agenda, as per the constitution. Now that we habe watched the OAV KonoSuba and gotten Darkness out of our system, it is time for the next one of our new regular series to start. A world of magical girls, that goes askew. It is an unfotunate fact, but in Winter we are not able to properly keep the Hall warm. A reminder to bring along warm clothing. 6:28pm Omae wa Mada Gunma wo Shiranai Ep 5/? 9:50pm Youjo Shenki Ep 2/? 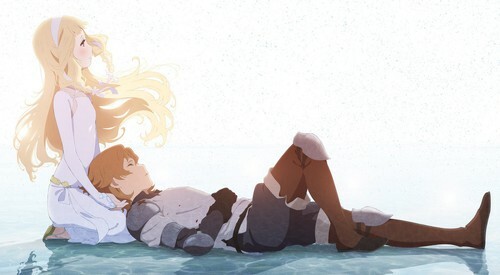 From Thursday June 7th — Anime movie Maquia – when the promised flower blooms in cinemas at the usual locations. Wednesday June 13th – September 12th — OUTTA THE BOX Anime Film Festival at Event Cinemas Innaloo, starting with Akira at 6:30PM Wednesday 13 June. June 22nd to 24th 2018 — Supanova, Perth. June 30th — JAFWA’s next Event Afternoon. Make your own fun in the Hall from ~1->~4PM. July 21st — JAFWA’s AGM and annual committee elections. All paid up members are requested to attend. Saturday September 22nd 2018 — ~10AM – ~5PM, RahCon 2018 Pop Culture Convention at Mandurah Performing Arts Centre! Tomoyo, eager to create more costumes for Sakura, visits at her house. However the new clear cards surprise them, as Sakura, Tomoyo, and Kero-chan become trapped in a closed space. Yoshino Koharu is a young girl trying to look for a job in Tokyo, but is only met with a series of rejections. However, she has a seemingly lucky break when she receives a job offer to work with the tourism board of the economically struggling Manoyama village as their “Queen”. With no other choice, Yoshino accepts the offer and travels to Manoyama only to find out that she was hired based on a case of mistaken identity and that her contract term is for one year instead of the one day, as she had initially thought. With nowhere else to go, Yoshino reluctantly becomes Queen of Manoyama. In order to revive the Mizuchi Festival,Yoshino and her friends search Manoyama for the three treasures, but nobody remembers where they went. They then pursue a lead where the Professor, a cultural anthropologist, may know where the treasures are, but he lives in the remote Warayiba Village up in the mountains. Araki is a veteran editor for the dictionary department at the Genbu Shobou publishing company. He is looking for a successor now that he’s approaching retirement age. After Majime Mitsuya — a salesman who’s a poor talker — meets Masashi Nishioka — Araki’s coworker who is sociable and frivolous — Araki overhears their conversation and decides to recruit Majime into the department. The “odd couple” work together to compile a medium-sized Japanese dictionary titled “The Great Passage”. After a struggle of more than a decade, The Great Passage is ready to set sail. For the dictionary is going to the printers, and officially be born. To light the way of those who try to cross the great ocean of words. In 1999 a city-sized alien spacecraft crashes in South Ataria Island on Earth. Over the course of 10 years the military organization U.N. Spacy reverse-engineers its technology and rebuilds the spacecraft, naming it the SDF-1 Macross. In 2009 at the launch ceremony of the Macross, a space war fleet from the alien Zentraedi arrives in the solar system and identifies the Macross as a former battleship used by their enemies. Mistakes happen. Thus begins the war between Human and Zentraedi, led by the brave crew of the Macross. A epic battle for the Earth takes place when Boddole Zer’s main fleet of over 4,000,000 warships fold above Earth’s atmosphere. Using the power of culture from Lynn Minmay’s singing, the Macross, along with its allied Zentraedi fleet, attempts a daring last stand to Boddole Zer’s forces. Heroes will die, a world may fall, but will love prevail? Sana Kashimura, a little orphan girl who is one of the children that holds the power of “Alice’s Dream,” a special ability that enables her to materialize anything she imagines. After escaping a lab where she was a test subject, she ends up in the outside world where she encounters a grumpy old man named Zouroku, but she wonders if he will help her. Zouroku and Ichijo take Sana on a field trip to show her more of the outside world. However, while walking through the city, Sana encounters the twins Asahi and Yonaga by chance. Powers will flare, and mistakes will be made. This is a side story from the Sword Art Online universe, this is all new characters – no Kirito or Asuna. We follow the story of Karen Kohiruimaki, a university student with a complex about her abnormal height. She begins playing a VR game called Gun Gale Online after it gives her the cute, petit avatar that she has always wanted. Pitohui tells Llenn about the upcoming Squad Jam team battle royale tournament, inspired by the events of the previous Ballet of Bullets tournament. Unable to participate due to real life obligations, Pitohui suggests that Llenn should enter the tournament in a team with another male player. Chise Hatori, 15 years old. Lost, without hope, and without family, she is bought for money … not by another person, but by a non-human magus named Elias Ainsworth. Though she hesitates, she begins life anew as his apprentice and future wife. Elias and Oberon take the critically wounded Chise to the Land of Fairies, where time passes much faster than normal, so she can recover under the care of the Fairy Doctor, Shannon. There are pros and cons to keeping Chise in the Fairy realm. Meanwhile Silky keeps house. Momonga, master of the Ainz Ooal Gown guild, was logged in to the Virtual Reality MMO Yggdrasil on the day it closed. Instead of being logged out he found his VR game had somehow become a real world that he was now trapped in. As a massively over-powered Lich Lord, there’s very little that can threaten him, so Momonga begins exploring the world surrounding his guild headquarters and meeting with its inhabitants in the hopes of finding anyone else from Earth trapped in this world with him. The floor guardians of Nazarick are introduced. Sebas reports that the guild hall was somehow moved to an unknown locatiom. Momonga continues to test his capabilities in the new world. 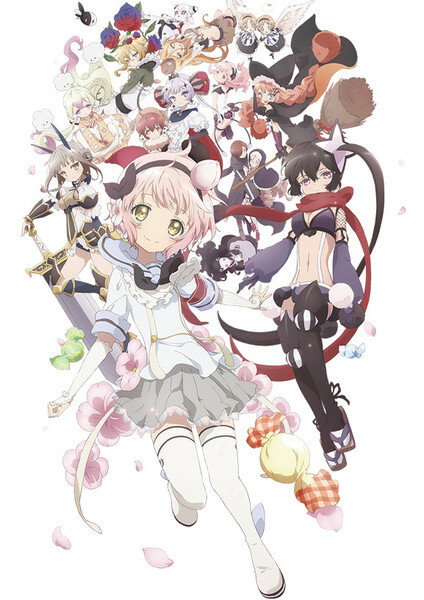 While playing a smartphone game known as Magical Girl Raising Project, Koyuki Himekawa, a middle school girl who loves magical girls, is chosen by the mascot character, Fav, to become a real magical girl known as Snow White. As Snow White uses her ability to hear people in danger and help them, she uses her Magical Phone to talk to the other magical girls residing in N-City. While searching for his childhood home with Koichi, Rohan Kishibe notices a mysterious alleyway that isn’t marked on the town map. As they walk, they keep finding themselves on the same street with a mailbox. They are approached by a girl named Reimi Sugimoto, who reveals that both she and her dog Arnold were murdered fifteen years ago and are now ghosts.